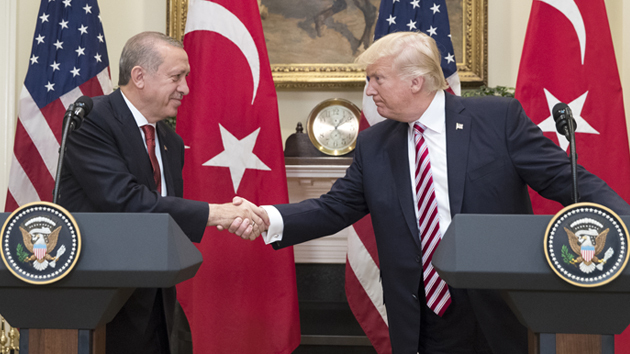 On Monday evening was announced by the Turkish Presidency that Turkish President Recep Tayyip Erdogan had a telephone conversation with US President Donald Trump on the subject of developments in Syria. The two men made their positions known and clarifications have been given, without any further details being announced so far. The official announcement by the Turkish presidency reported also that President Erdogan “explained that Turkey has no intention against the Kurds but aims to combat the terrorism of ISIS, PKK and YPG”.